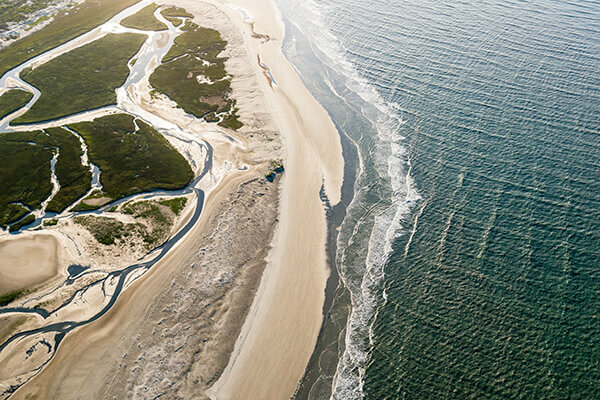 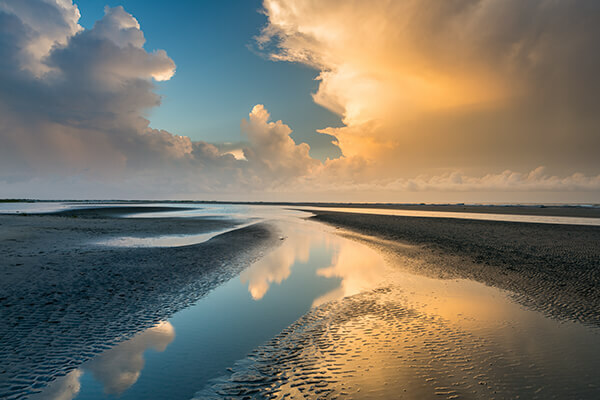 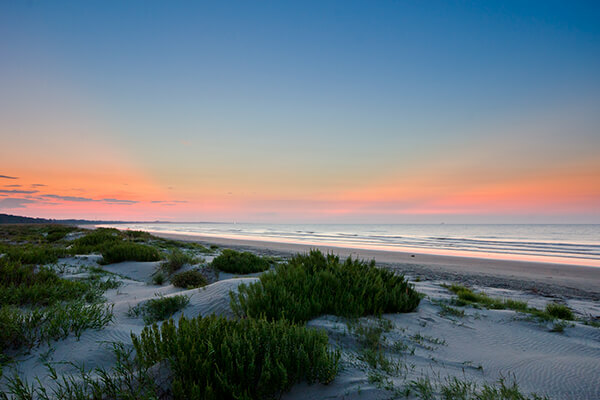 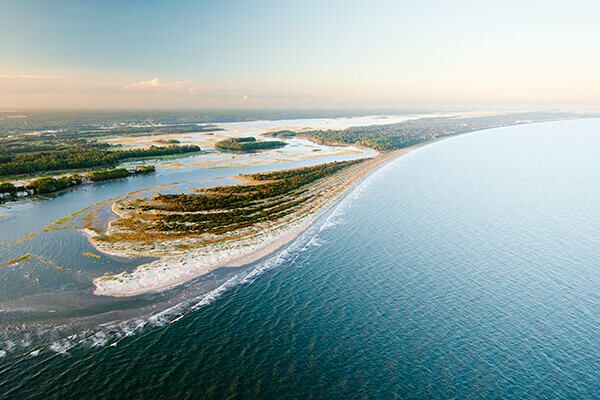 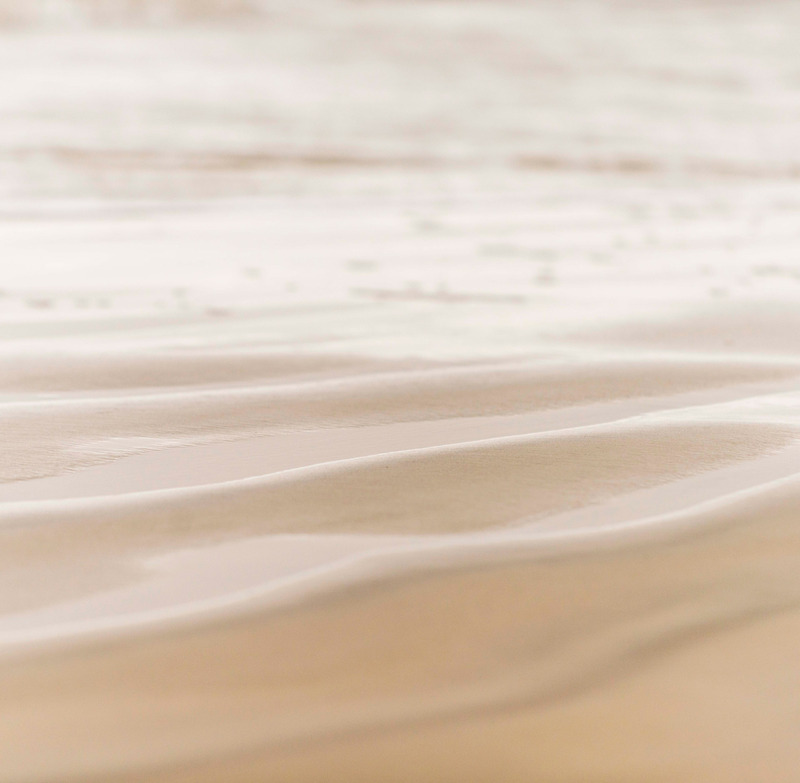 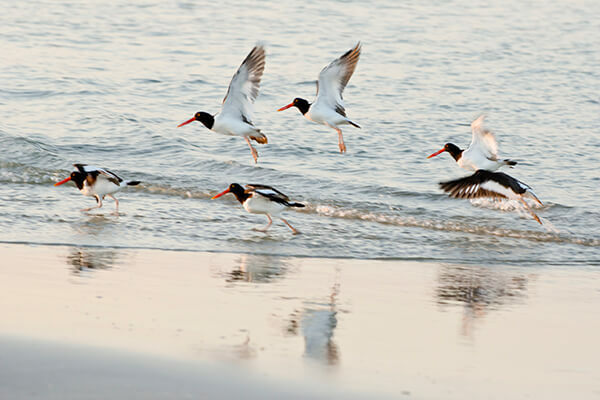 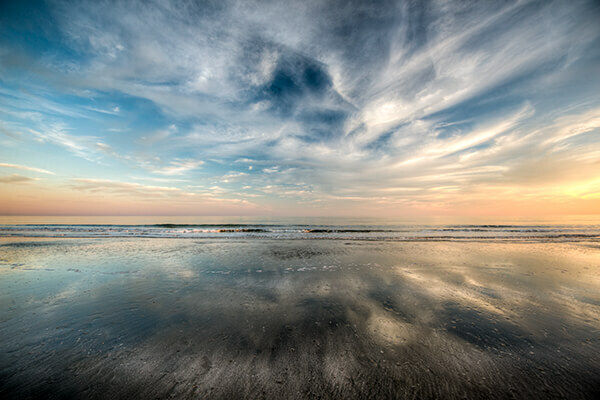 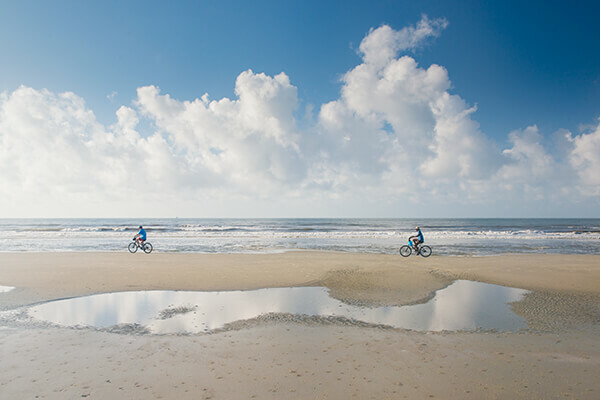 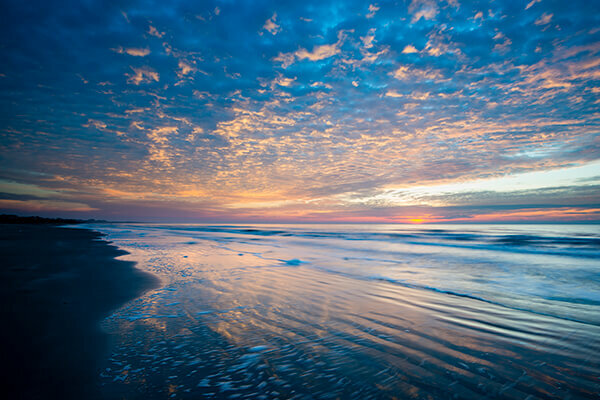 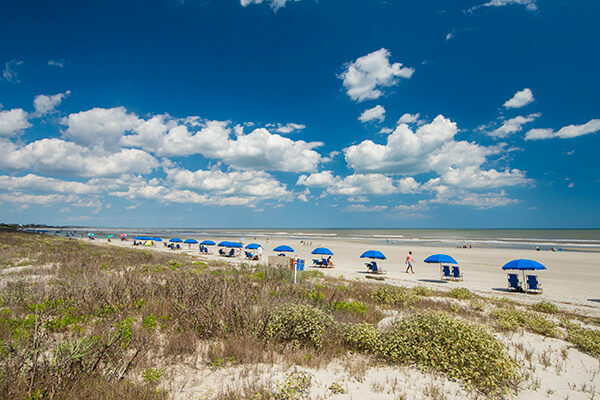 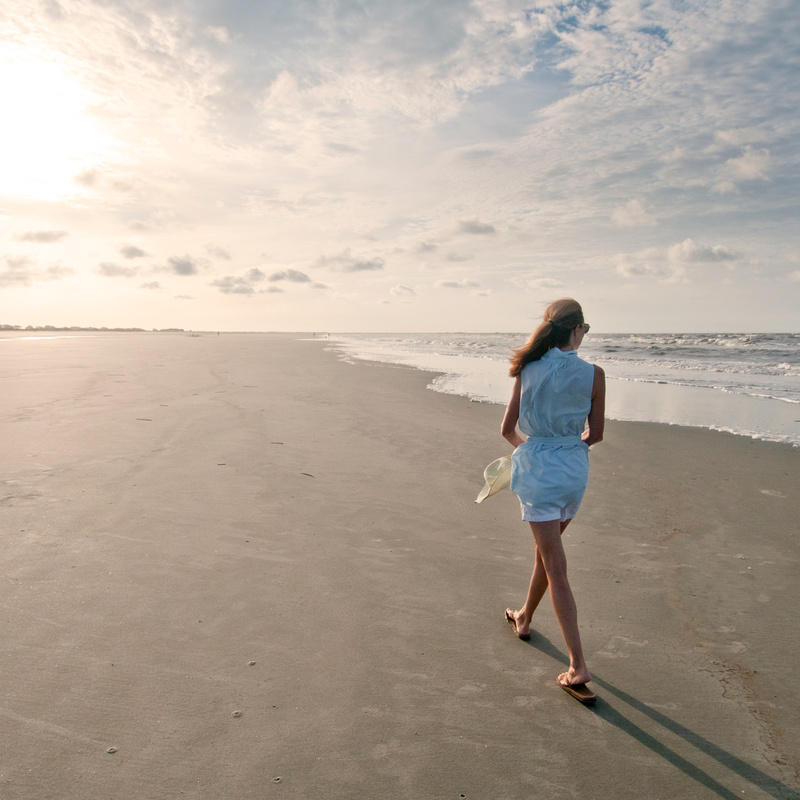 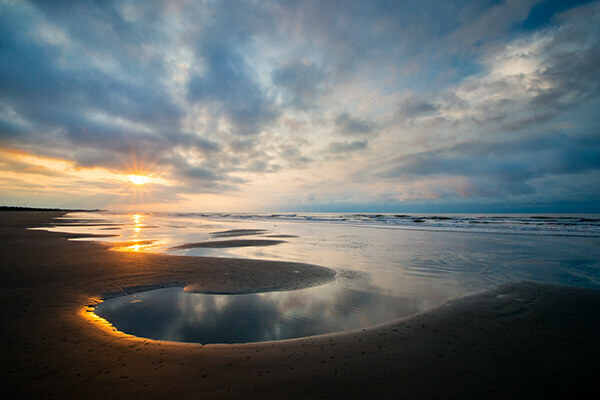 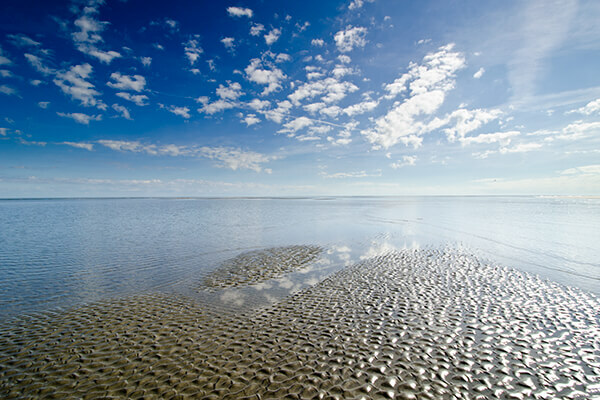 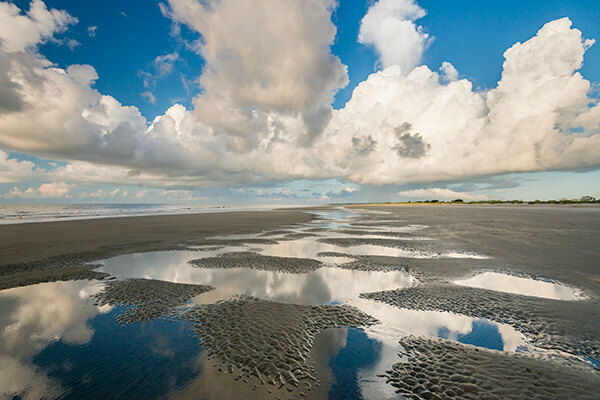 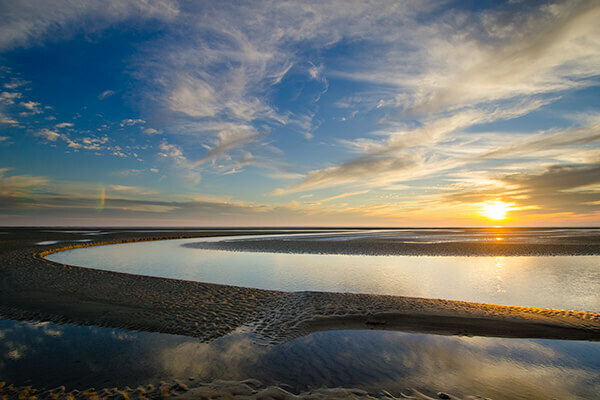 Ten miles of pristine, private beach is one of the hallmarks of the Kiawah lifestyle. 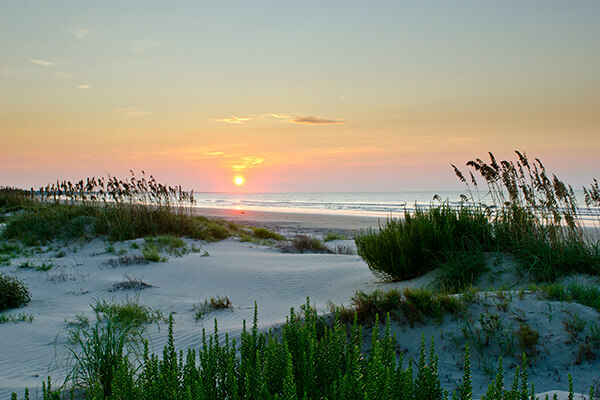 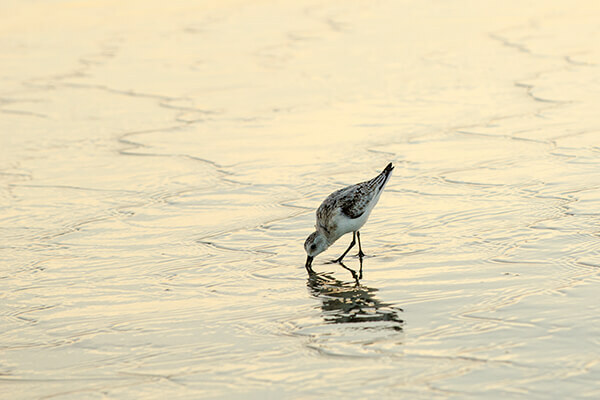 With its east-west orientation, the beach provides a prime spot for basking in both sunrises and sunsets. 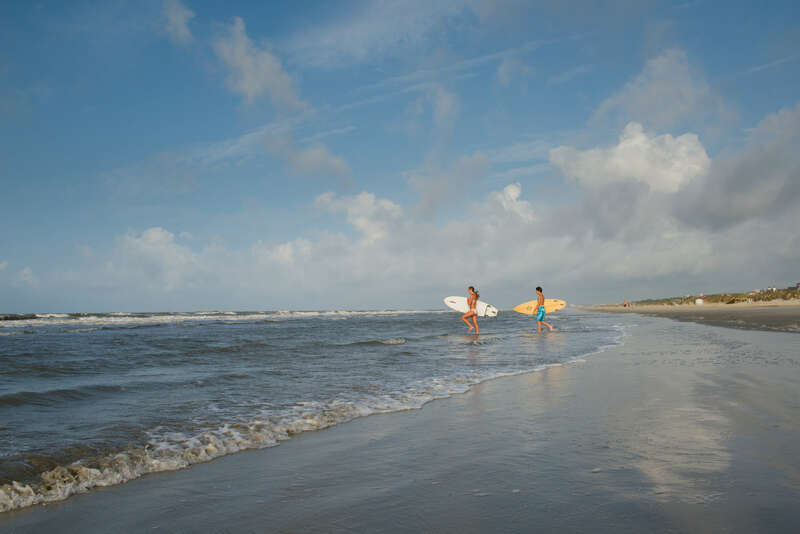 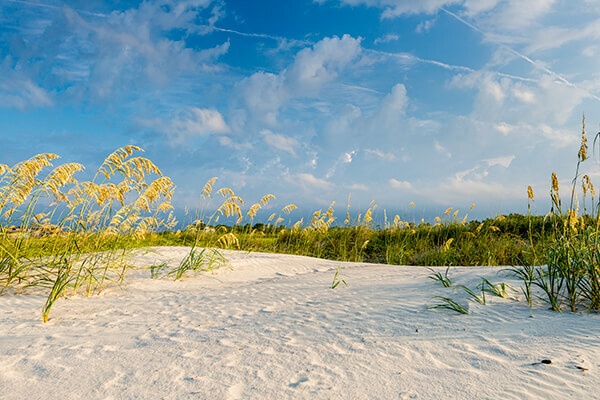 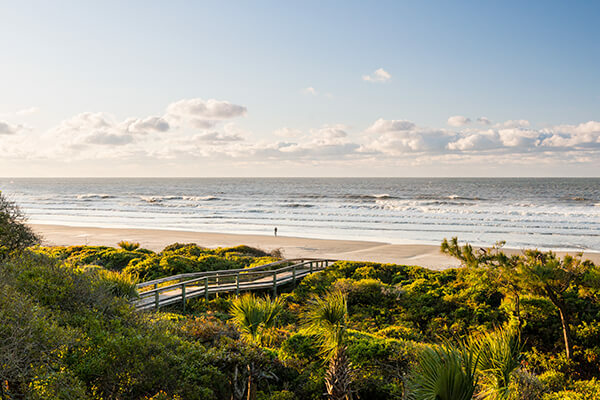 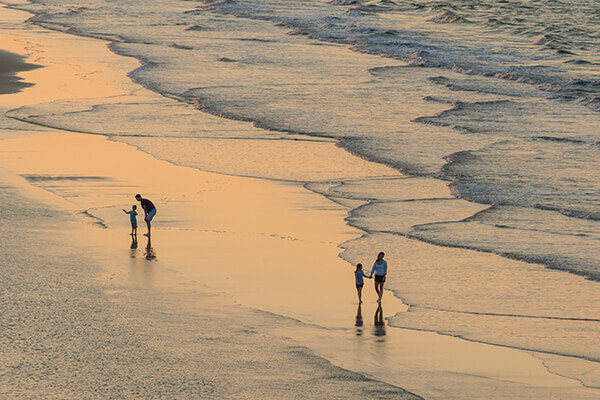 The beautiful Kiawah beach makes a perfect sand castle site, ball field, swimming pool, water sports arena, workout facility, yoga studio, bike trail and whatever else a family can dream up.